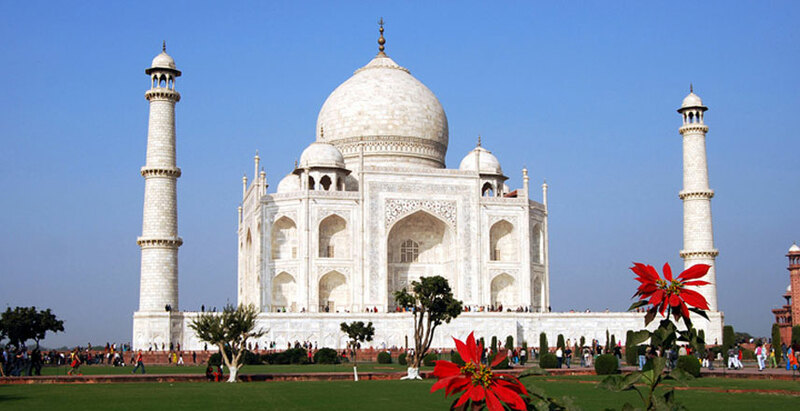 Experience the best of India's historical and architectural highlights on this 5-days private Golden Triangle Tour of Delhi, Agra, Jaipur & Delhi with a private guide by Car. Begin your sightseeing in Delhi, where you'll visit one of the world's largest mosques before continuing on to Raj Ghat, which commemorates the life of Mahatma Ghandi etc. Visit Taj Mahal & red Fort in Agra, after exploring this beautiful monuments, later we will arrive towards Jaipur via exploring the city Fatehpur Sikri. Visit jaipur with local tour guide of jaipur & visit Amer fort & city palace etc. Note: This is fully customized tour any changes are possible as per your need and interest. 5-days North India tour, round-trip from Delhi with a private English-speaking driver and a guide. Discover the palaces, fortresses and mansions of the Golden Triangle Delhi, Agra, Jaipur. Marvel at the UNESCO World Heritage Sites of the Taj Mahal, Fatehpur Sikri, Qutub Minar and Humayun's Tomb. Visit Raj Ghat, the memorial of Mahatma Gandhi, and drive through India Gate in Delhi. 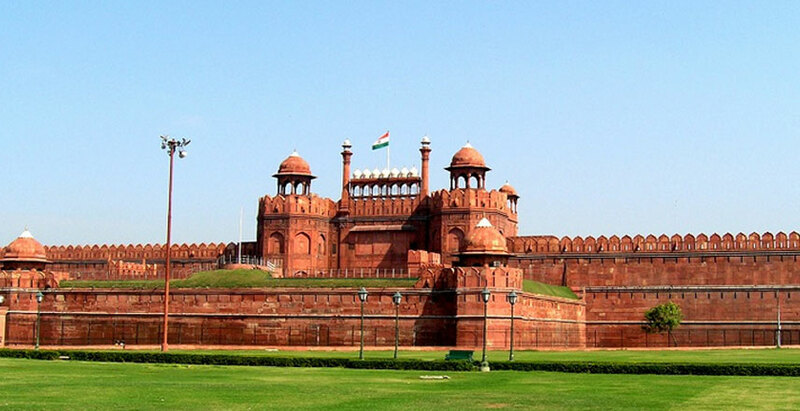 Delhi Kick off a half-day sightseeing tour of Delhi at your hotel or airport. Ride in air-conditioned comfort to check into your hotel if arriving by plane. Eat lunch on your own and then meet your guide for a tour of some of Delhi's major highlights. Ride with your driver to Jama Masjid. This large mosque is one of the largest in the world and worth exploring with your guide. Learn how this impressive structure was built by Shah Jahan and check out an ancient copy of the Quran before making your way to Raj Ghat, where Ghandi was cremated. 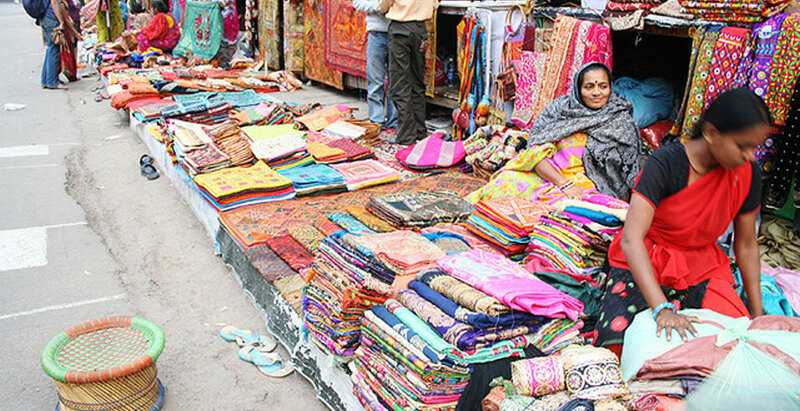 Along the way your guide will point out monuments like the Red Fort, Khari Baoli spice. 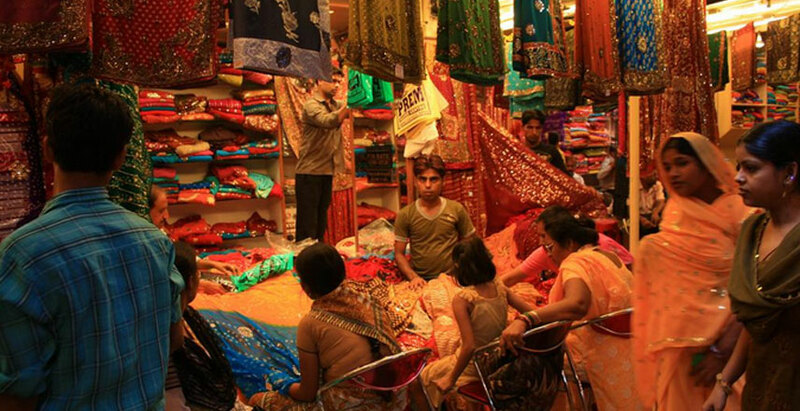 market and the Chandni Chowk Bazaar. 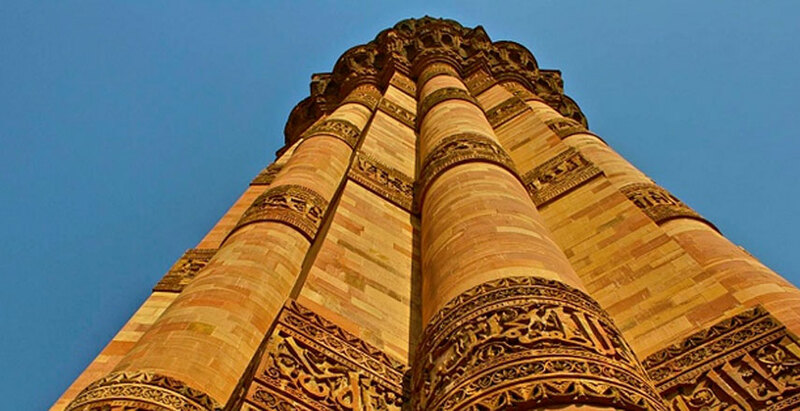 Make your way to Qutub Minar, a UNESCO World Heritage Site built of red sandstone and white marble. See the highest spire in all of India before heading to Humayun's Tomb. This second UNESCO World Heritage Site is the final resting place of the 16th-century Mughal emperor. 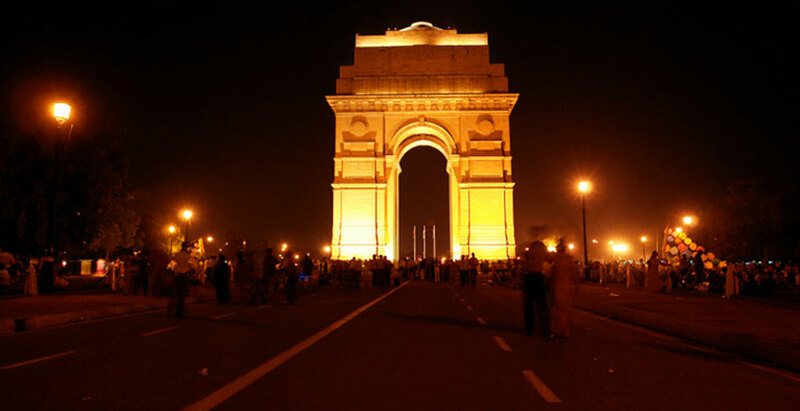 Ride in the comfort of your private vehicle past India Gate, aniconic monument built to honor fallen soldiers of World War I. Overnight in Delhi. where you'll enjoy lunch before heading to the iconic Taj Mahal. This UNESCO World Heritage-listed structure is one of the Seven Wonders of the World. Built by Shah Jahan to commemorate the love he had for his third wife, the Taj Mahal took some 20 years to erect. Your guide will provide insider information about the impressive white marble structure and the architectural influences of Turkey, India and Islam that can be seen on its facade. From there, head to the red sandstone Agra Fort, where you'll see more Islamic and Hindu architecture. Look out over the Yamuna River and explore the landscapes of this impressive complex, which was built by Emperor Akbar. Enter the ornately decorated rooms with your guide and learn about the significance of the Diwan-I-Khas (private audience hall) and Diwan-I- Am (public audience hall) on your tour. The final top of your day in Agra is the Tomb of Itmad-ud- daulah. Known by locals as the Baby Taj, this architectural masterpiece was built in the 1600s and is filled with precious stone detailing and stunning marble work. Overnight in Agra. Enjoy breakfast in your hotel before departing in air-conditioned comfort to Jaipur approximately a 5-hours drive from Agra. 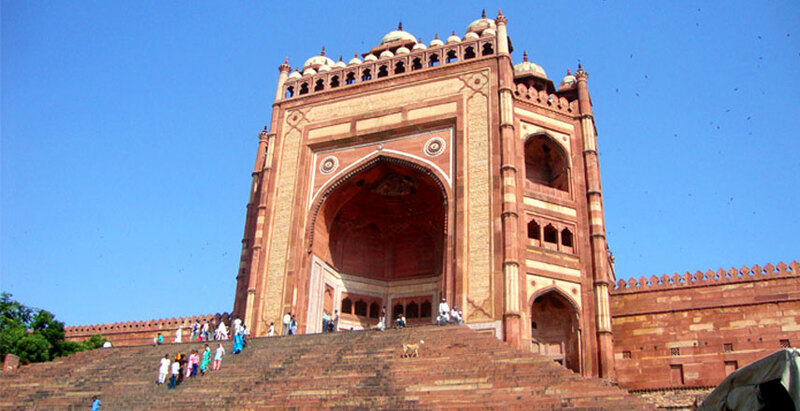 Make a stop at Fatehpur Sikri along the way, where you'll learn about the history of this UNESCO World Heritage Site, which was built by Emperor Akbar in the 1500s. Marvel at the Hindu and Muslim architectural influences as you explore the walled complex and visit Jama Masjid, Panch Mahal and other buildings located on the grounds. Return to your vehicle and make your way to the city of Jaipur, where you'll check into your hotel and enjoy the evening as you wish.,Overnight hotel in Jaipur. 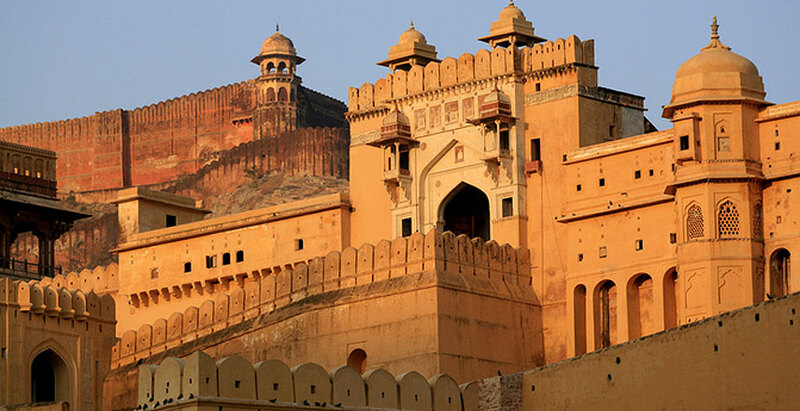 Relax over breakfast in your hotel before heading out to explore the famed Amber Fort with your guide. Take in incredible views of Maota Lake and learn about the history and design of this fortress from your guide. After lunch, experience the kinetic energy of Jaipur on a city tour of this diverse destination. Follow your guide through the City Palace, where you'll see traditional textiles, armor and costumes. Once you've learned about the reign of Jai Singh II during this informative tour, head to the Palace of the Winds - Hawa Mahal - which looks similar to the crown of the Hindu god, Krishna. Make a stop at the historic stargazing observatory, Jantar Mantar. Your guide will unlock the beauty and charm of this 'Pink City' as your tour the gardens, palaces and temples that make Jaipur truly memorable before returning to your hotel. Overnight in Jaipur. After enjoying breakfast in your hotel you will drive to Delhi, where you'll be dropped off at your airport or hotel. Assistant on Arrival at Airport/Railway Station. Toyota Innova car for entire Journey.(Delhi/Agra/Jaipur/Delhi). For 01 to 04 pessengers. Expert Licensed Tour Guide (Approved by Ministry of Tourism, Government of India) for Explanation of monuments. All tax,toll tax, parking, fuel charges, etc. Horse cart ride in Agra. Elephant ride in Jaipur city. Anything not specifically mentioned under the head "Price Included"